The rosters of superhero teams are constantly in flux, with characters constantly coming and going, dying and being resurrected. The X-Men are constantly finding new mutants, the Avengers have had more members than I can count and the Fantastic Four have included way more than just four. The Guardians of the Galaxy are no different. 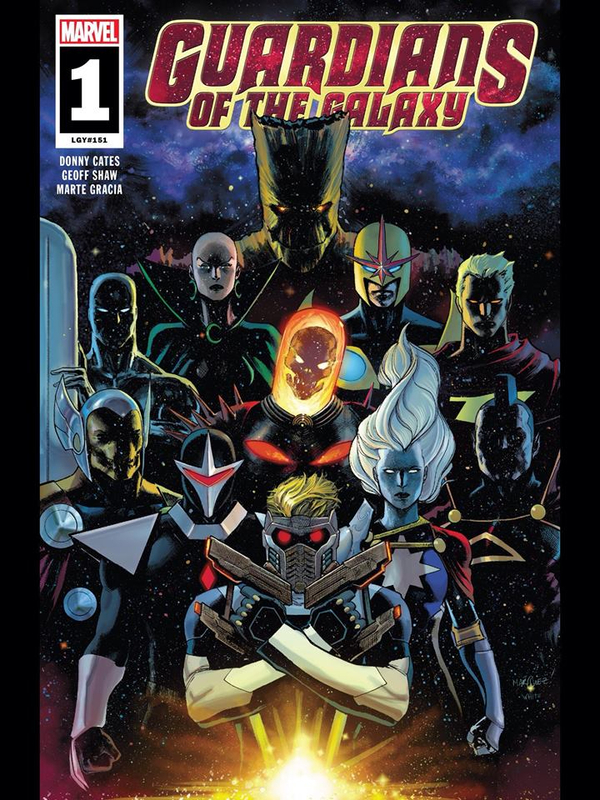 The first issue of Donny Cates’ new Guardians of the Galaxy series was released today, and it gives us a very different Guardians lineup from the one we’re used to. Cates wastes no time throwing readers into a very intriguing Marvel story. Disembodied text describes a universe at war, littered with death and decay, ravaged by battle. You may be thinking “big deal, that’s just like any other Marvel story.” That’s where Cates throws in an interesting wrinkle. Thanos, the most feared villain in the Marvel universe, is dead! 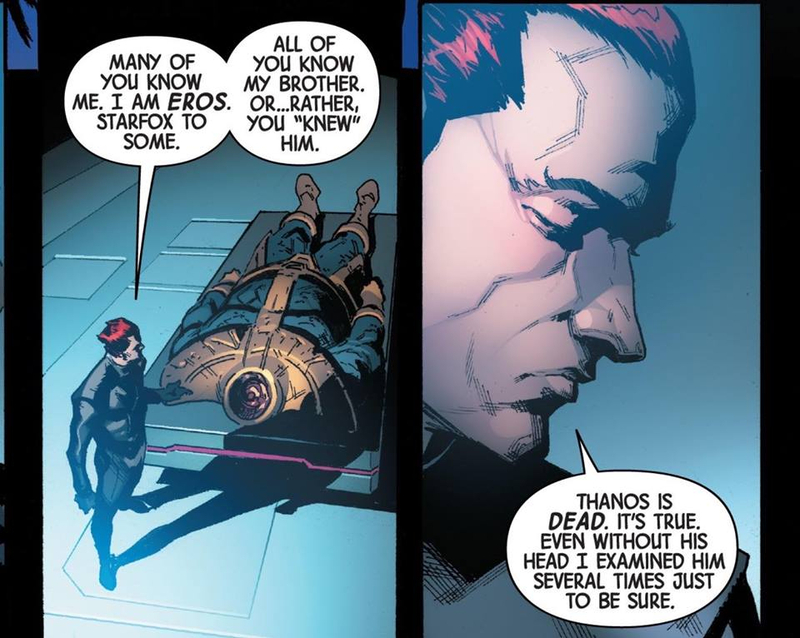 The story opens with a gathering of some of the most powerful beings in the universe, including Eros, the brother of Thanos, who we find out accounts for that disembodied text. We find out the reason they have all been called together is to eliminate the potential future threat that is Thanos’ mind being transferred into another body. If you thought that was a lot to take in, we later see Star-Lord and Groot in their new ship. Only problem is, they’re alone. If you’re wondering why it’s just the two of them, Star-Lord explains that a little later. That’s right. 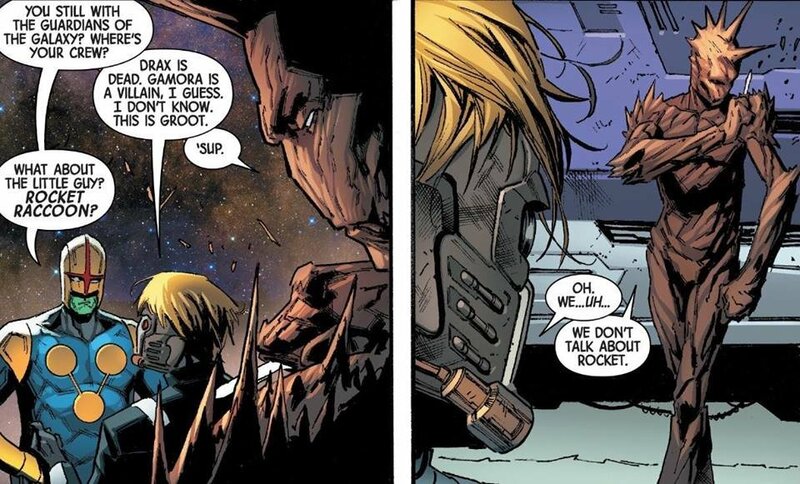 Drax is dead, Gamora is a villain and they simply don’t talk about Rocket. The leaves just Star-Lord and Groot all alone as the remaining Guardians of the Galaxy. 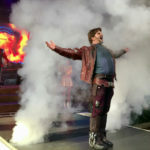 So if you’re keeping score at home, that leaves us with a dead villain, a brewing new threat and some open spots on the Guardians of the Galaxy roster. What do you think is going to happen? 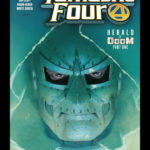 This first issue brings a lot of interesting characters into the fold, including Moondragon, Phyla-Vell, Beta Ray Bill (who is essentially a horse version of Thor), and the Punisher who is now actually the Ghost Rider. This all certainly sets up for a very interesting story arc with a very exciting group of characters. However, If I had one complaint, this first issue is a lot to jump into. 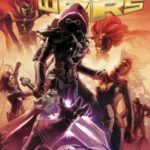 If you haven’t previously read Cates’ Thanos series or Gerry Duggan’s Infinity Wars (not to be confused with Infinity or Infinity War), you may feel completely lost. Still, it’s a very intriguing start to the story that has me excited to read more. Plus, there’s plenty of time for the series to flashback and provide some context to explain how we got to this point without the reader having to go back and read two previous series before reading this one. By the way, artist Geoff Shaw created some beautiful visuals for this issue. 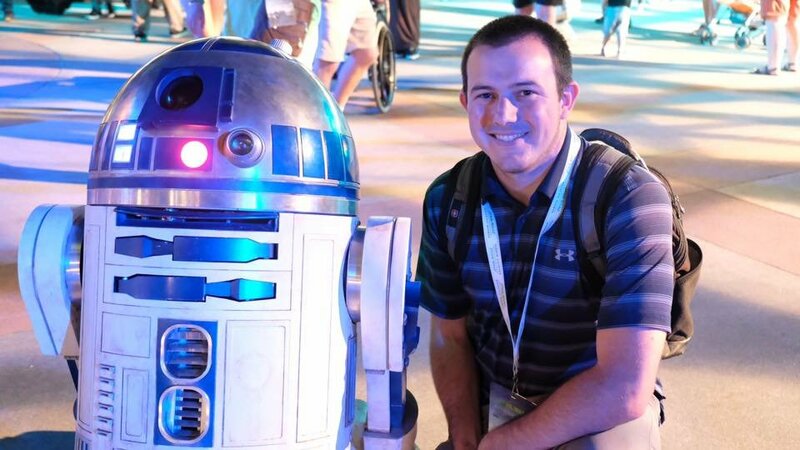 The colorful space battles and intense imagery will leave you struggling to turn the page. 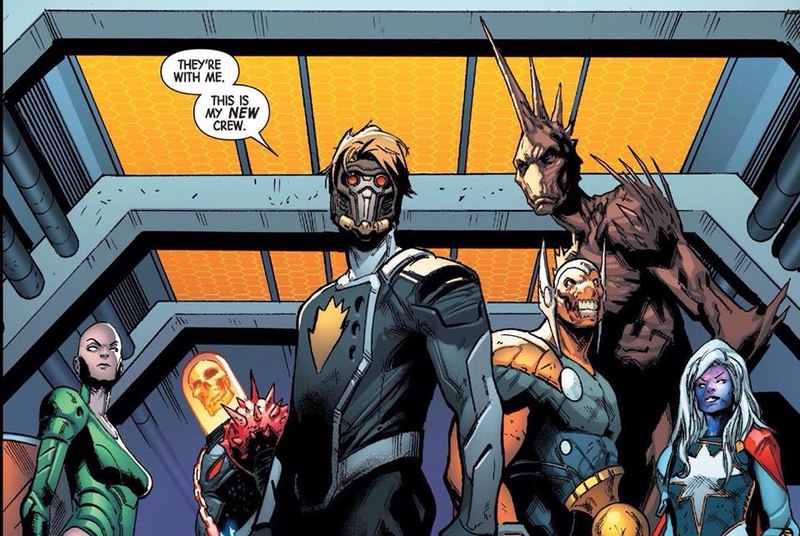 If you’re a casual Marvel Comics reader, Guardians of the Galaxy #1 may not be for you. 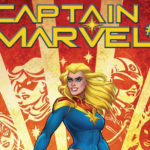 If you’re up to date on your recent Marvel reading and you’re looking for an exciting new story to take on, then by all means Cates and Shaw’s new series is exactly what you’re looking for.